Unlike white diamonds, when purchasing a fancy color diamond, cut proportions and clarity are less significant and the most important element is color intensity, the deepness or richness of color. Hue — Pink, Yellow, Blue, Green, Brown, Red, Purple, Grey, Black and Orange. Intensity — Very Light, Light, Fancy Light, Fancy, Fancy Intense, Fancy Vivid, Fancy Dark, and Fancy Deep. Both color characteristics form the basis for determining a fancy colored diamond's worth. Hover tiles to see all different fancy colors. The information below will help you understand fancy color diamonds and show you the different between Natural Fancy Color and Color Enhanced Diamonds that you will know right for you. Natural fancy colored diamonds are very rare, extremely attractive and tremendously expensive. Very few people have the pleasure or owing one of these stones. Unlike white diamonds which still mind out in large quantities, natural fancy color diamonds are less than 1% of the quantity of rough diamonds manufactured globally. In order to categorize diamonds as NATURAL colored diamonds, they are certified in a gemological institute such as GIA, HRD, or IGI . Color diamond with one primary hue will be more voluble form a diamond with primary and secondary hue and the price will be considerably more expensive than a diamond with a secondary hue. For example: fancy Yellow, fancy pink diamonds, etc. However, in some cases the secondary hue can effect positively the value of the diamond. For example, fancy grayish-blue diamonds, fancy brownish-yellow, etc. The intensity grading system for fancy color diamonds differs than that of white diamonds. Unlike white diamonds, which range from the letter D-Z, fancy color diamonds are graded by Very Light, Light, Fancy Light, Fancy, Fancy Intense, Fancy Vivid, Fancy Dark, and Fancy Deep. The stronger the color - the higher the price. 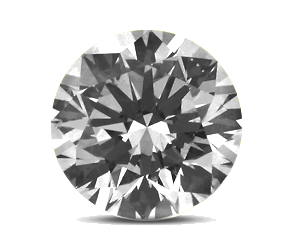 Click here to view our fancy color diamonds. In the last decade magazine and auction houses have been filed with natural fancy color diamonds that attracted more celebrities and investors what made the prices of this diamonds astronomic. This has spread awareness and created demand for a product that combines the adamantine brilliance and legendary strength of diamonds with the pristine colors of gemstones. Thanks to modern advancements in the diamond industry it’s now possible to enhance the color of a diamond into a glowing and intense colored stone. A beautiful yet more affordable alternative to natural fancy color diamonds are color enhanced diamonds. Natural color diamonds, such as the famous Hope Diamond, are exceptionally beautiful, but just as exceptionally rare and expensive. In order to satisfy the accessibility, affordability and availability invented advanced safe methods of color enhancement. Telling the deferent between color enhanced diamonds and natural color diamonds without an assistance of professionals or a copy of a gemological report will be impossible.